Can't wait. 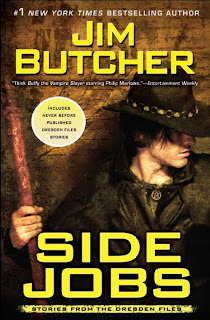 Love the Dresden Files novels. Wow, that would be awesome to have a different POV. Novemeber is far away, but we still have Changes in April. The nice thing about the Dresden stories is he always places them between books so the world still stays linear. I'm most curious about what his next non-Dresden book will be, although I'd prefer he go back to the two a year schedule.